Jen was wonderful with our bathroom remodel. She helped design an entirely new bathroom and coordinated with Steve who was great to work with. 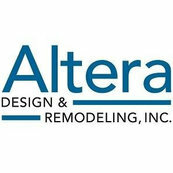 They all work together well at Altera and make sure the end product is what you want.